No, don’t worry, this is not a case of deja vu. You may have seen I have already posted an article about the new Ford Fiesta today but that was before Ford released further details of the new Fiesta model so let’s call this article round 2 shall we? At least I can go in to a bit more detail about the new model. As the Fiesta is a very successful model for the brand, the press release for the new model was rather extensive (4,022 words in fact)- still not as long as some of the ones from Mercedes though (thankfully). So I’m going to summarise it as best as I can, because I know I can waffle on for a bit some times. In fact, I’m starting to do that now… Anyway! 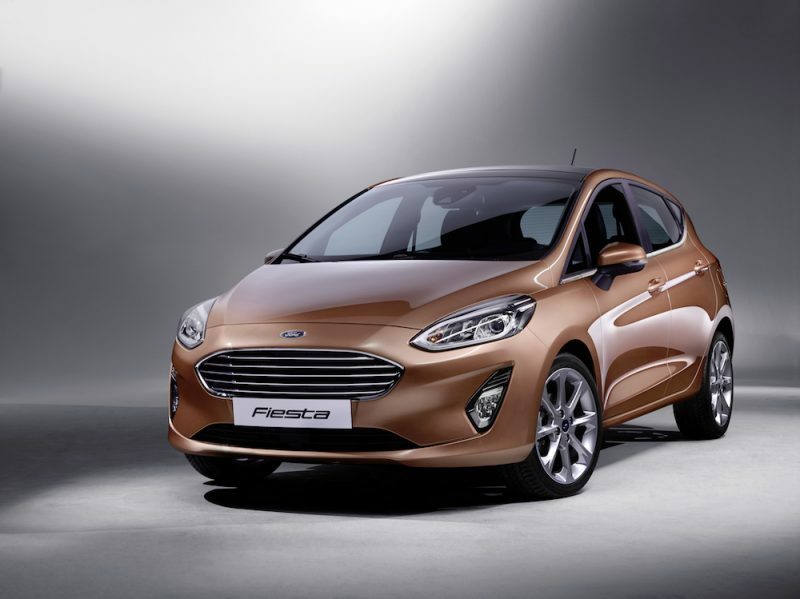 One of the key talking points of the new Fiesta are the new Vignale and Active models, which are joining the lineup for the first time. You may be familiar with the Vignale trim as Ford has applied it to the Mondeo, S-Max, Kuga and Edge models and the main aim of it is to provide a more luxurious and exclusive feel. This means buyers will be treated to hexagonal quilted leather, 18 inch alloy wheels and it also has a model specific front grille as well. The Active model is a crossover designed for the outdoorsy types who like to get out in the rough and tumble to adventure. Well that’s the aim anyway, the chances are the nearest this will get to going off-road is parking in a field for a school sports day. 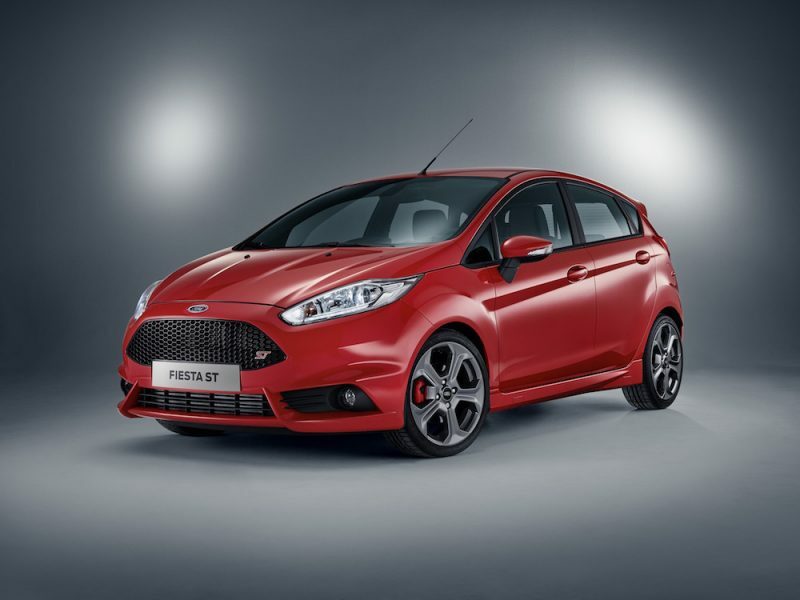 Nevertheless, the Active is the first of its kind to feature in the Fiesta range and features a raised ride height, roof rails and exterior body styling to signify it’s rough and ready. It appears the engineers at Ford have pulled out all the stops to ensure the new Fiesta is the most ergonomic and easy to live with model yet. 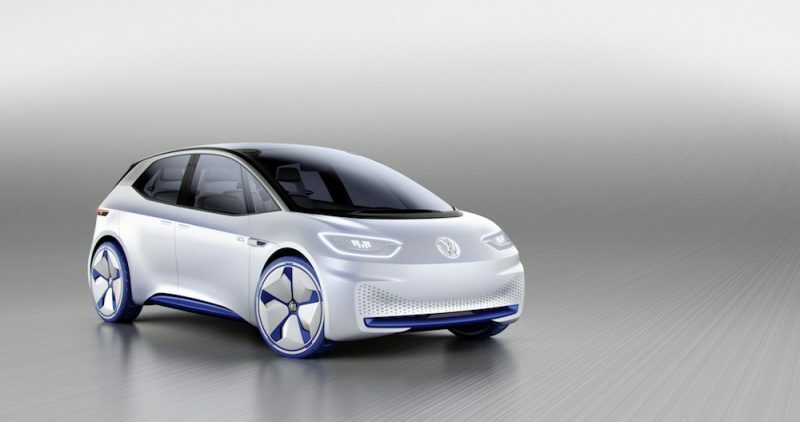 Changes such as the the new touchscreen ensure that the contact centre console has almost 50% less buttons plus the doors are 20% easier to closer whilst the wipers cover 13% more of the windscreen. It may sound nerdy but it’s bound to make you drive better. 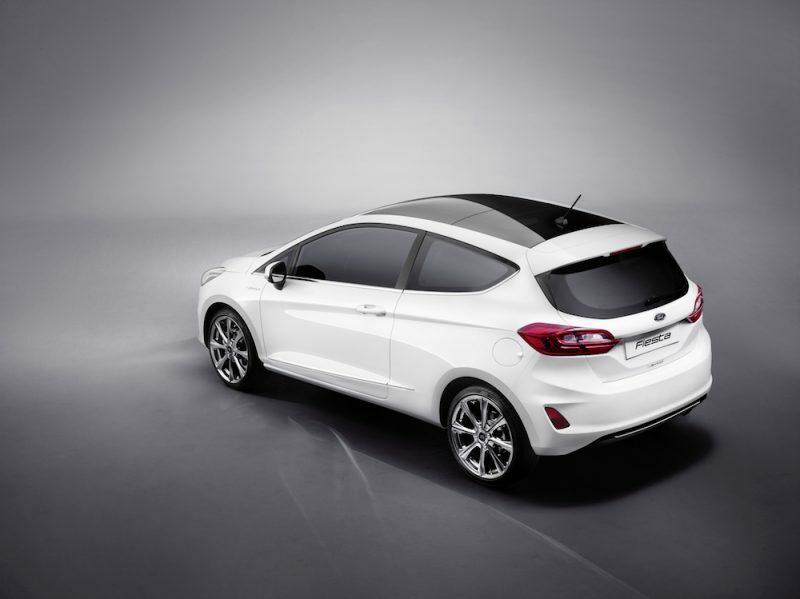 The roof has been designed to carry water away from the car, meaning it’s less likely to enter the car and the roof itself features the Fiesta’s first openable, full-length panoramic glass roof which consists of two toughened and tinted panes which are almost full-width of the car. There is 16mm more legroom to be enjoyed in the rear, the tailgate is wider to give better access and best of all, the glovebox is 20% larger! The current Ford Fiesta is hardly a borefest when it comes to driving dynamics, but that has not stopped Ford tinkering with the formula. The new model features a 30mm wider track at the front and 10mm at rear, with new suspension bushes which are twice as stiff but still able to absorb the bumps on the road for when you want a more leisurely drive. Steering friction has been reduced by 20% whilst the gearbox has been revised to provide smoother changes. 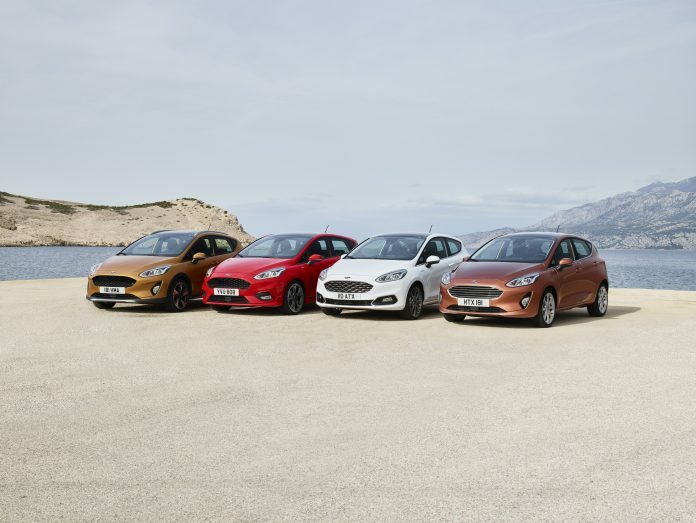 There will be three engines available in the new Fiesta including the multi-award winning 1.0 litre EcoBoost petrol, a 1.1 litre petrol which replaces the outgoing 1.25 litre engine and last but not least, a 1.5 TDCi diesel, a Fiesta first. The 1.0 litre EcoBoost will be presented with three different power outputs – 99bhp, 123bhp and 138bhp, which can be mated to a six-speed manual or in the case of the 99bhp engine, a six-speed manual. 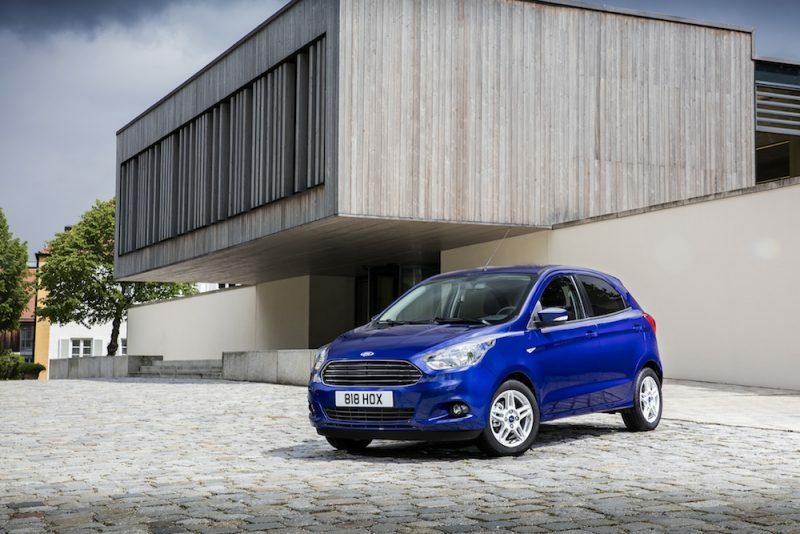 The 1.1 litre shares the same three cylinder structure as the 1.0 EcoBoost and is able to offer either 69bhp or 84bhp, both of which will be mated to a 5-speed manual. Completing the lineup is a 1.5 litre TDCi which offers 118bhp and is mated to six-speed manual gearbox, offering a very reasonable 82g/km of CO2 emissions. There is plenty more to say about about the new Fiesta but I best start wrapping things up. 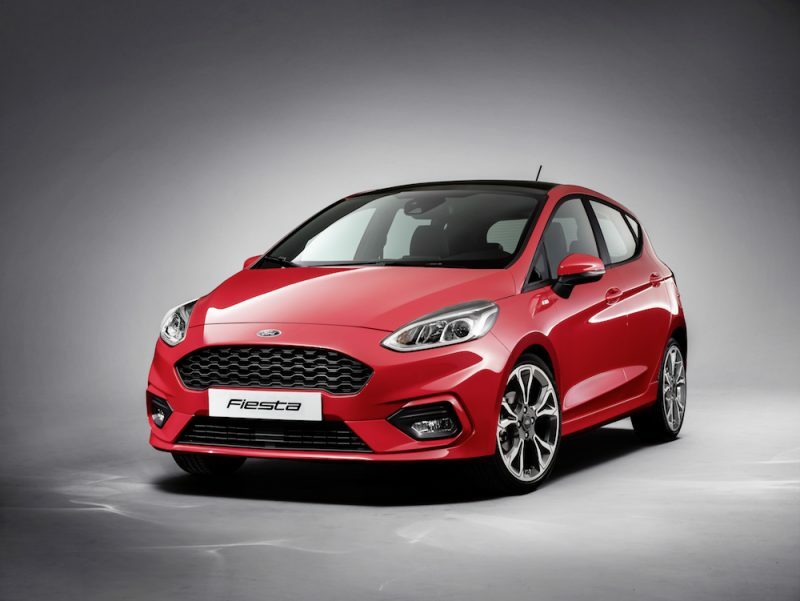 Other notable features of the new Fiesta include new features to the model including a heated steering wheel, a 4.2″ TFT screen and B&O Play – a first in any Ford model. It’s stronger too which makes it safer, as does the the Active Park Assist which includes perpendicular parking and automatic braking whilst the Pre-Collision Assist with Pedestrian Detection that works up to 130 metres and now even works at night. In case you do happen to hit a pedestrian though, the front lights retract on impact to better protect them.